International Relations research papers discuss international relations affect on trade between countries and how it affects their relations. International Relations Research Paper topics typically look at how international relations affect trade between countries and how it affects their negotiations. The topic of international relations is very broad and you can base a research project on many aspects of this concept of international politics and the relationships between nations, businesses or foreign entities. 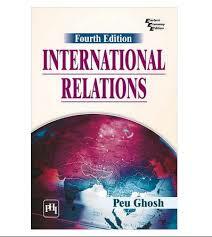 The concepts and theories of international relations are as diverse as they are numerous and while many of them were absent of historical extent, their introduction and influence have significantly marked history throughout time. One of the earliest concepts of international relations revolved in one form or another around the relations between city-states. As early as 427 B.C., international relations embodied the principles of equality among citizens and were representative of political and social conditions of the period. For Plato, they represented a guarantee of social stability but for Aristotle, they represented an impossibility and could only apply to the elite. The Age of Enlightenment saw the development of new ideas on international relations. The increased incidence of war was tearing away at the theory of balance of power and men, like Kant, were eager to offer practical ideas on international relations. Kant hoped to evoke international harmony by combining universal values with historical progress, and through him, the concept of natural law became, once again, the basis for political relations. According to Kant, the combination of progress, civilization and organization was a recipe for peace. Numerous international relations theories have been introduced since Morgenthau put forth his Politics Among Nations, but none has so completely addressed actors and motivation in the international system. In order to show that today’s international system fits his model, the classical realist’s main points must be addressed. The Realist Theory first asserts that political policy originates in the basic rules of human nature. Policy decisions should be studied as the result of rational analysis of alternatives. Actors will make decisions most in keeping with the national interest. The Realists’ views of human nature are based on the Hobbesian concept that man’s greatest motivators are fear and greed. The concept of the national interest presupposes neither a virtually harmonious, peaceful world, nor the inevitability of war because of the pursuit by all nations of their national interests. Quite to the contrary, it assumes continuous conflict and threat of war to be minimized through the continuous adjustment of conflicting interest by diplomatic action. The first two tenets of Realism are evident in international involvement in humanitarian endeavors. In the last decade, the United States has used humanitarian concern as a reason to intercede in Iraq, Somalia, and the former Yugoslavian states. The state did not intervene in other crises such as the genocide in Rwanda. The only explanation for such inconsistency is pursuit of the national interest. In Iraq, the United States needed to protect petroleum interests and the Middle East status quo. In Somalia, rights groups demanded attention to mass starvation and violence- public interest had to be weighed. Finally, in Eastern Europe, the United States seeks to maintain its role as international superpower through diplomacy and peacekeeping missions. The international relations actors’ most basic goal is survival through the protection of “physical, political, and cultural identity against encroachments by other nations.” According to the tenets of Realism, as long as the world system remains anarchic, or without a common order, this sense of survival will dominate international competition. International actors are not subject to the moral standards expected of the individual. Decisions in the international arena are made according to assessment of the world at that moment, not a static moral code. Instead of determining the morality of policy decisions, the successful international actor will consider how the decision will affect his power position. Realism does not advocate or accept, however, violations of human rights. Morality affects the national interest through public and international interest. One of the states’ most valuable tools is legitimacy in the international community, as illegitimate states are often at a disadvantage when it comes to alliances. Public interest is especially important in the era of widespread democratic movements. The recent increase in non-government organizations dedicated to reporting and preventing abuses of human rights has added a greater voice to the balancing tools advocated by Realists. States resolve international conflict by pursuing policies that preserve the status quo, further imperialist designs or increase international prestige. In accordance with the other principles of Realism, the choice between these three policies is made by assessing the national interest. For instance, states will intervene, either through alliances or as individuals, in regions where their trade interests are threatened. Analyzing the international system using the principles of Realism reveals a balance of power system. The Cold War between the communist bloc and the United States illustrates the most popular example of balance of power. With the fall of the Soviet Empire in 1989, many wondered if the balance of power system had also perished. Significance of the Relationship - The first part of the paper discusses the significance of the topic. It may be interesting to you but you need to convince why international relationships is worth studying. Focus on how the relationship puzzled you and why it is important to study. Set up a Hypothesis - For example, as trade between two countries increases (Independent Variable), relations between two countries increases (Dependent Variable). You should state this in one succinct sentence. Conceptual Definition and Variable Creation - The part presents your conceptual definition of your Independent Variable (trade) and your Dependent Variable (relations). Make a detailed explanation of why your definitions are apt and adequate. Theory - This is the most important part of your research paper on international relations and should involve the most thinking. Hypothesis tell us the direction of the relationship between variables but theories explain the underlying process that enables the Independent Variable to produce the changes in the Dependent Variable. Cite sources, books, journals that support or influenced your thinking. Case Selection - Give a brief description of the cases that have taken place throughout the world that you will be using to test the effects and implications of your theory. Discuss what logic of comparison" (e.g. most similar cases, or most different cases design) you are going to use. You must defend your "logic" selection. Analysis of the Second Case - Provide a well supported account of how your Independent Variable related to your Dependent Variable in the second case. Case Comparison - In this section, you will present a comparison of you cases. First, discuss the similar or dissimilar effect of your Independent Variable to you Dependent variable. Present you insights on why you think this was the case. Provide at least two alternative explanations of the changes that you have seen in you Dependent Variable. Discuss whether you have/do not have evidence that the Independent Variable had significant effect even when other variables are considered. International Humanitarian Law - International Humanitarian Law research papers examine the aspect of international law, which seeks to protect individuals who are not participating in the fighting of a war. Balance of Payments - Balance of Payments research papers overview the financial concept of a country's total international trade. Sputnik Research Papers delve into the first launched satellite into space. To End War - End War Research Papers discuss a book by Richard Holbrooke allows us to observe a diplomatic mission from start to finish. Post War International Politics Research Papers discuss the practices of politics and focuses on liberalism and realism. The International Labour Organization research papers discuss the United Nations agency that works with member nations in order to promote labor standards. International Policies research papers give an in depth review of international policies. American Council of International Strategies Research Papers examine this travel organization's environmental and SWOT analyses. Pan American Health Organization research papers discuss the international health agency that improves the health and living throughout the Americas. Paper Masters writes custom research papers on International Relations and discuss international relations affect on trade between countries and how it affects their relations.